(Chicago Tribune) -- W. Hunter, the great grandson of Anna Short Harrington, the woman who became "Aunt Jemima," has filed a class action lawsuit against PepsiCo Inc., its subsidiary Quaker Oats Co., Pinnacle Foods and its onetime suitor, Hillshire Brands Co., on behalf of all of her great grandchildren.. He is seeking $2 billion, plus punitive damages to be determined at trial. Hunter alleges that the companies conspired to deny that Harrington had been an employee of Quaker Oats, all the while exploiting her image and recipes for profit, while refusing to pay an "equitable fair share of royalties" to her heirs for more than 60 years. The claims come on the heels of the defendants allegedly receiving a certified death certificate for Harrington that listed Quaker Oats as her employer. Hunter further alleges that the companies have lied while claiming they could find no employment records for Harrington, or images of her, and yet they had her image deposited inside the U.S. Patent and Trademark Office, according to the document. According to the suit, Quaker Oats sought out Harrington's youngest daughter Olivia Hunter in 1989, ultimately using her likeness to update the look of Aunt Jemima. It is this image that is used today on Aunt Jemima-branded products, the suit suggests. The suit further alleges a racial element to the exploitation of Harrington and the other women who portrayed Aunt Jemima, going so far as to accuse the company of theft in procuring 64 original formulas and 22 menus from Harrington. It further alleges that Harrington was dissuaded from using a lawyer, exploiting her lack of education and age, so that the company could not pay her a percentage of sales from her recipes. Chicago-based Quaker continued to use Harrington's image for years, and licensed it out to other companies for ancillary merchandise like mugs and clothing, the suit alleges. The lawsuit cites Screen Actors Guild residuals and standard policies in the entertainment industry regarding revenue statements, which neither Harrington nor her heirs ever received. It wasn't until they uncovered in 2013 that Quaker Oats had trademarked Harrington's likeness and picture in 1937 that the family determined that they were owed royalties. The lawsuit alleges that Pinnacle Foods has sold hundreds of millions of dollars worth of Aunt Jemima products. Pinnacle sells Aunt Jemima-branded frozen pancakes, waffles and French toast. Chicago-based Hillshire dropped its bid to buy New Jersey-based Pinnacle earlier this year. In a statement, Quaker said that while it could not discuss the details of pending litigation, it does not believe there is any merit to this lawsuit. 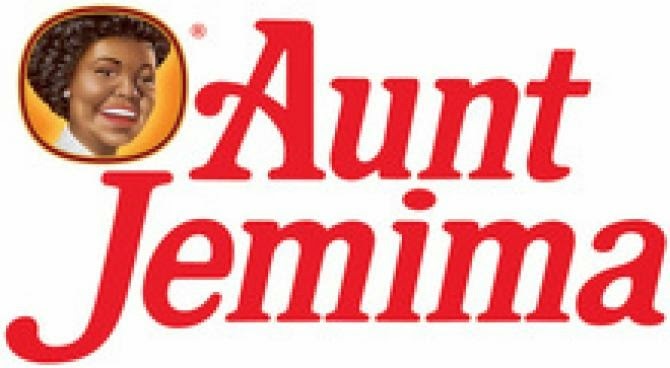 “People associate The Aunt Jemima Brand with warmth, hospitality and comfort, and we stand by this heritage as well as the ways in which we do business,” the company said. Pinnacle Foods declined to comment. The suit was filed on Aug. 5 in U.S. District Court for the Northern District of Illinois.